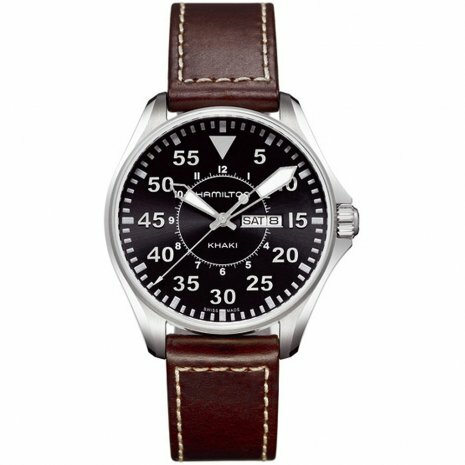 The Khaki Pilot gives the wearer the feel of an early American pilot with its classic aviator design. 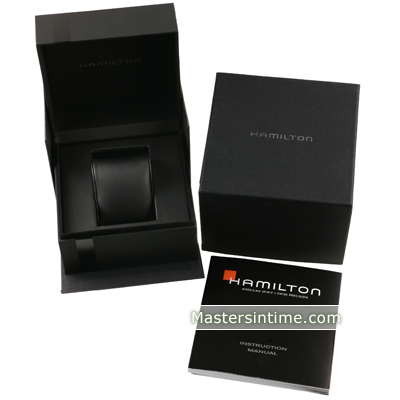 It features a large, easy to read dial, day and date function, and superluminova hands. 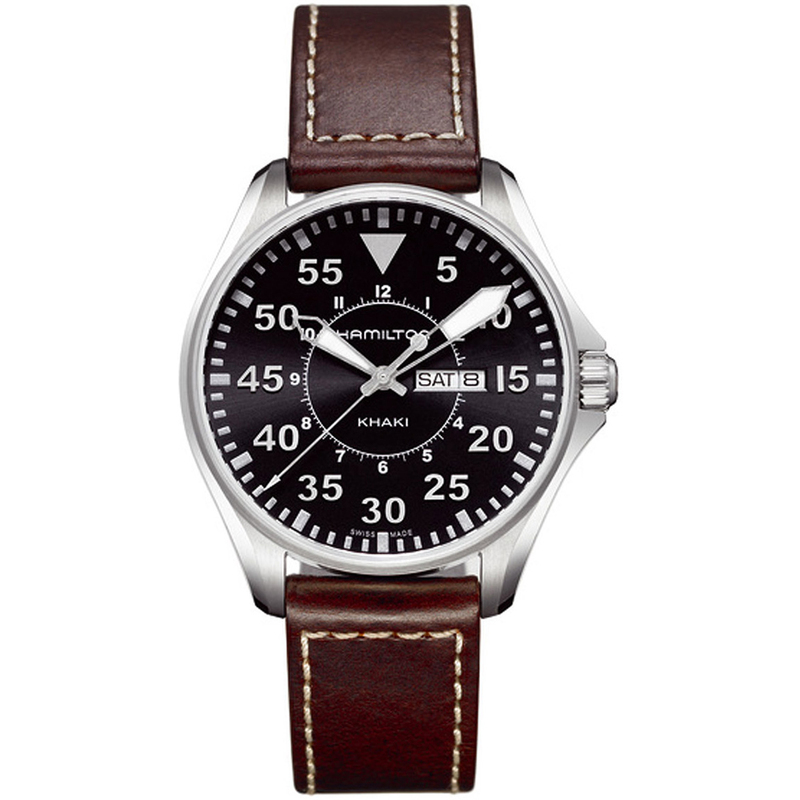 The Khaki Pilot is an essential piece of form and function for any pilot.